Prototypes of President Trump's proposed border wall are going up near San Diego. Each prototype is a little different. You can see the photos. One is a 30-foot-high slab of concrete and steel, another is a 30-foot-high slab of steel and concrete. Eight variations are all meant to pave the way for a wall that Congress has yet to fund. NPR's John Burnett is here for an architecture review. Hi, John. JOHN BURNETT, BYLINE: Hi, Steve. INSKEEP: So what's it like when you go down to the border and actually get a look at these things? BURNETT: It's quite a scene. The Border Patrol has created this media bullpen at the edge of the construction site. And they've been shuttling in journalists from around the U.S. and around the world from as far away as Japan and Germany to see the great U.S.-Mexico border wall. You put on these fluorescent vests and hardhats and watch cranes lifting huge sections of sand-colored walls into place. They're massive, as you said - as tall as a three-story building. INSKEEP: Well, the president had talked about innovative designs. At one point, he said maybe it should have solar panels, different ways to stop people from crossing the border. Did you see any innovations? BURNETT: Nothing particularly artistic or high tech about these walls. One has elaborate spikes on top of it in case an illegal crosser has a really tall ladder. INSKEEP: OK, well, I know you've spent time on both sides of the (laughter) border. Let's hear what people down there told you about it. EDUARDO OLMOS: We're actually at the prototype site, San Diego sector, where eight of the prototypes are being built. BURNETT: That's Border Patrol Agent Eduardo Olmos of the San Diego sector. OLMOS: Once these are built, they're going to be evaluated for different characteristics like anti-climbing, anti-breaching, anti-scaling, anti-digging, anti-tunneling. Also, they have to be aesthetically pleasing. BURNETT: The prototypes have all the appeal of blast walls. Some models are solid reinforced concrete. Others incorporate vertical steel posts. On the U.S. side, no one is allowed anywhere near the wall prototypes because of security precautions. 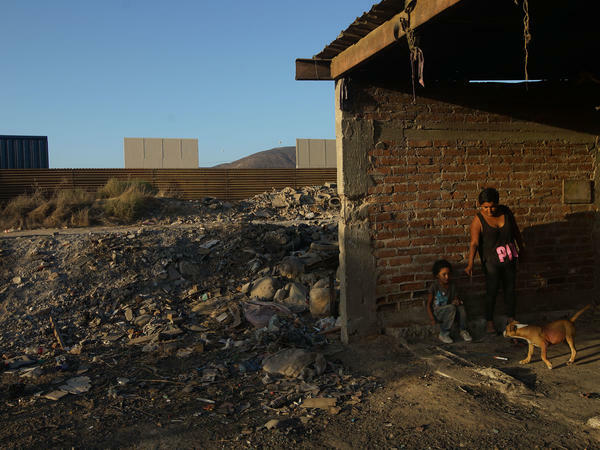 To see what people think about them, I crossed the border at the Otay Mesa port of entry and worked my way over to the Los Torres neighborhood of Tijuana. There's a ramshackle recycling business here in Mexico that looks directly onto the soaring concrete slabs. Jose Avila Rodriguez is pulling wires out of the dashboard of a wrecked truck. JOSE AVILA RODRIGUEZ: (Speaking Spanish). BURNETT: "From the size of the wall they're building, they don't even want the wind to blow from there to over here," he says ruefully. His granddaughter Melanie plays with puppies in the dusty street. Her grandmother Juana fills a bag with plastic bottles and considers Trump's border wall. BURNETT: "I don't think the new wall will deter people," she says. "How many years have they been crossing to the other side?" Border Patrol officials in San Diego say they need some kind of new obstacle. Illegal crossers have cut 1,700 holes in the existing steel mesh fencing in the past three years. 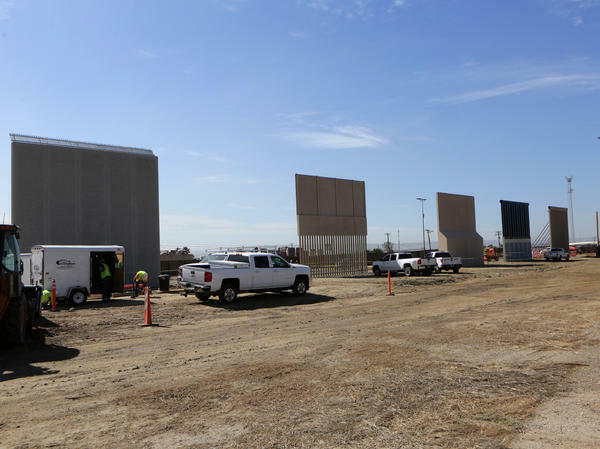 Just in the past three weeks, a half-dozen Mexican men have been nabbed in the construction zone while the prototypes were going up. Roy Villareal is the chief patrol agent here. ROY VILLAREAL: What we want is something that is better, that is, again, impenetrable, unscalable and not capable of being dug under very quickly. BURNETT: Six construction companies that won a nationwide competition to design and build the prototypes have until the end of this month to finish the eight mockups. I asked Villareal after his agency selects its favorite designs, does he believe these giant barriers will actually go up along the 2,000-mile frontier? He doesn't want to be pinned down. 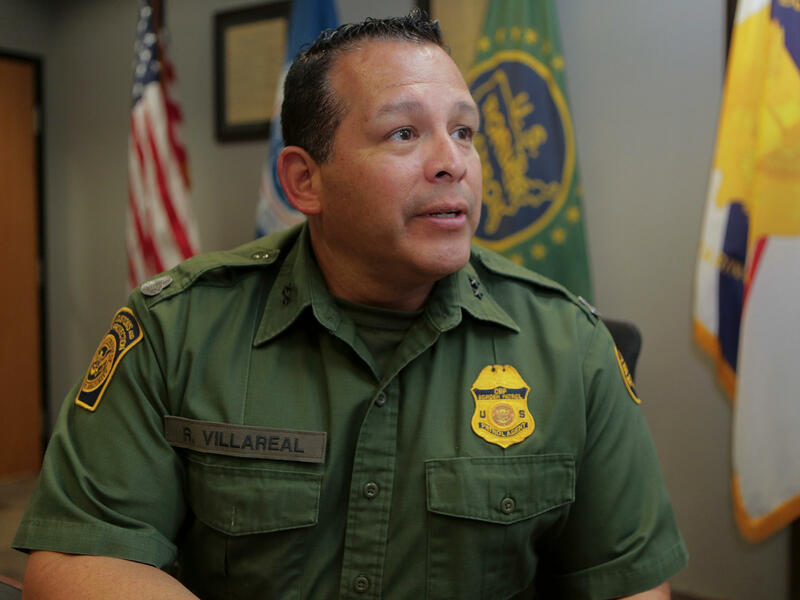 VILLAREAL: These prototypes are going to influence the next evolution of our border infrastructure. So it very well may not be what you witness this morning. BURNETT: Border Patrol officials are not waiting for a new wall design. 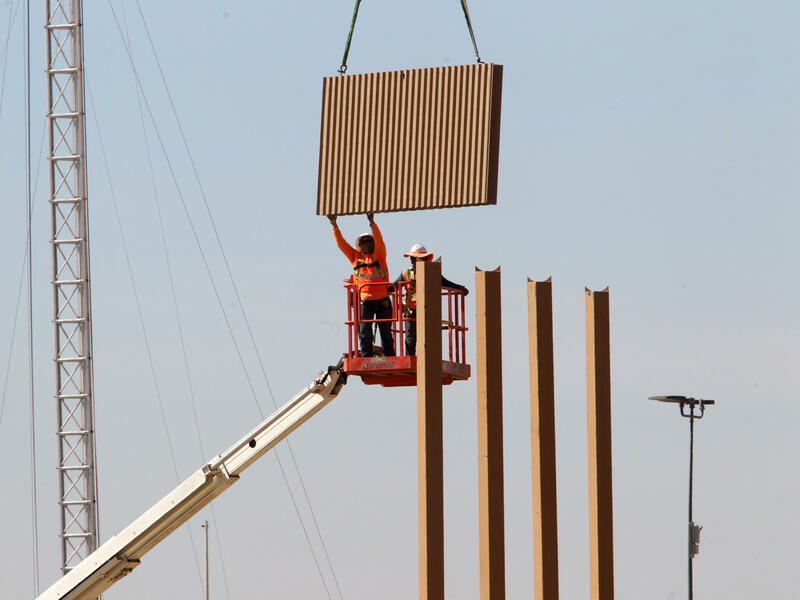 The chief in the Rio Grande Valley of Texas told me he's planning to build 60 new miles of barriers, if Congress funds it, but he'll use what's there now - rust-colored steel columns that rise no higher than 18 feet. The administration has asked Congress for $1.6 billion for the first segments of the president's border wall. But it faces a number of obstacles. It's opposed by congressional Democrats as well as most of California's and San Diego's leadership. And lawmakers in Washington are being hit with billions in unforeseen spending for hurricane damages from Texas to Puerto Rico. Doris Meissner, a former immigration commissioner and now a senior fellow at the nonpartisan Migration Policy Institute, thinks prospects for funding the wall look dim. DORIS MEISSNER: The real issue with building a wall is what the Congress does, not what the contractors do. And the price tag on this is enormous. 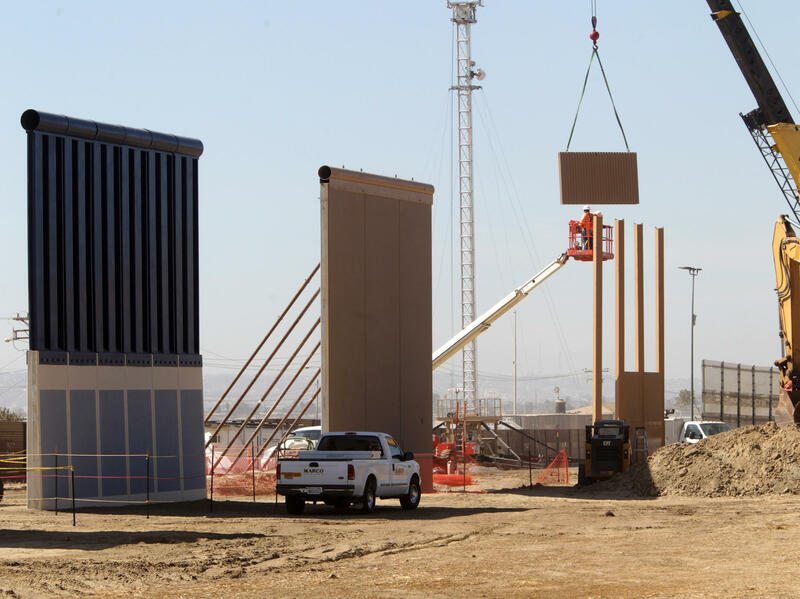 BURNETT: The Border Patrol expected the prototypes to spark big protests. But since construction began, there have been no demonstrations. CHRISTIAN RAMIREZ: We knew that this was political theater and that we weren't going to respond. This is much ado about nothing. BURNETT: That's Christian Ramirez, director of the Southern Border Communities Coalition in San Diego, which has organized local rallies against Trump's immigration policies but not this time. INSKEEP: So what are they doing instead, John Burnett? BURNETT: Well, Ramirez thinks the real fight is in Washington. And that's where Congress will decide what to do about funding the border wall and what to do about the nearly 800,000 dreamers, the immigrants who were brought into this country illegally as children. INSKEEP: OK. I guess we should mention that while activists have been relatively quiet, they think it's much ado about nothing, President Trump seems kind of excited. BURNETT: Exactly. On Tuesday, the president tweeted a picture of those massive barriers with the message border wall prototypes underway. INSKEEP: OK. That's NPR's John Burnett in Texas. John, thanks as always. BURNETT: You bet, Steve. Transcript provided by NPR, Copyright NPR.